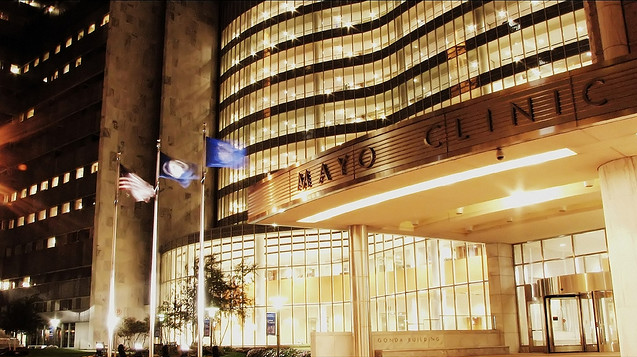 The Gonda Building at night, Mayo Clinic, Rochester, MN. EditingMD was formed to provide a resource for medical professionals looking to further their careers through superior writing. Our editing service is unique in its exclusive use of MDs for both application and academic manuscript final review. All our editors are native English speakers who have a passion for written excellence, and this is reflected in our results. The range of services offered mirrors the expertise of our physician editing staff and maximizes benefit for our clients. Dr. Smith received his medical degree from Mayo Medical School in Rochester, MN and matched into ophthalmology at an institution consistently rated in the top 10 by Ophthalmology Times. He credits his subsequent success in academic pursuits to the mentorship and academic writing development he received at Mayo Clinic. Dr. Smith continues to be very involved in research, focusing on the areas of pediatric ophthalmology, ocular tumors, and retina. He has published numerous manuscripts in top ophthalmology journals and is a reviewer for Ophthalmology, the top clinical/surgical journal in the field of ophthalmology. Dr. Smith also has considerable experience writing other academic documents including book chapters, research grants, and intellectual property applications. Throughout his medical career, Dr. Smith has played an active role in graduate medical education, working closely with both American and international medical graduates. With close to a decade of editing experience, he offers editing services that are enhanced by the breadth of his exposure to the application process. His extensive research background not only strengthens his approach to residency and fellowship applications, but also enables him to offer exceptional service to clients looking to further their medical careers through increased publication quality. Dr. Smith created editingMD to offer clients access to the same level of writing assistance he experienced during his training at Mayo Clinic. He owes a large measure of his success to physicians who gave of their time and talents to improve the quality of his writing, and hopes others will find similar success through interaction with the physician editors of this unique service. Our editorial board consists of a small group of native English speaking MDs who trained at top ranked allopathic programs in the United States. All editors are recruited based on their reputation for superior academic writing, as evidenced through publication track records in top journals in their respective fields. A Harvard trained residency program director leads our application editing team. This team consists of a sub-set of our editing physicians who have extensive experience with the residency/fellowship application process. Clients are paired with an editor based on their specific needs and will work with that editor for the duration of that project.